Simon is a break-in artist. 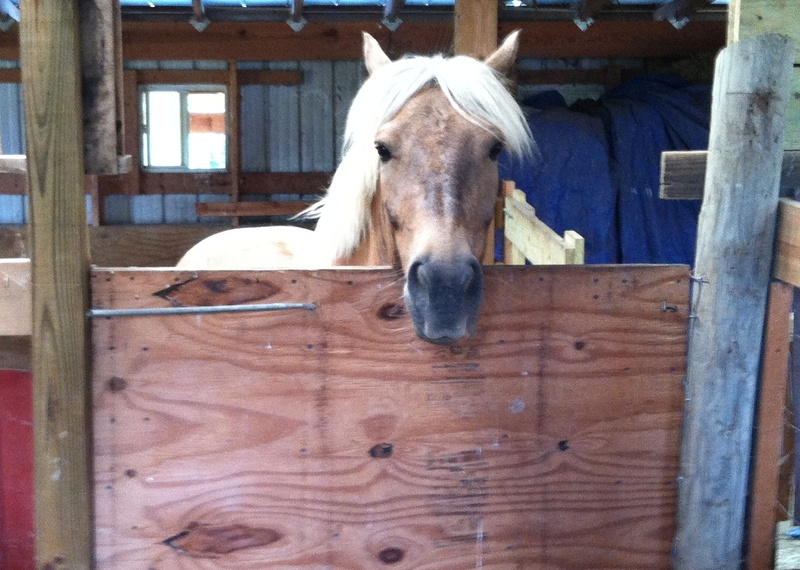 He has broken into the barn a few times and gotten into the hay stall. 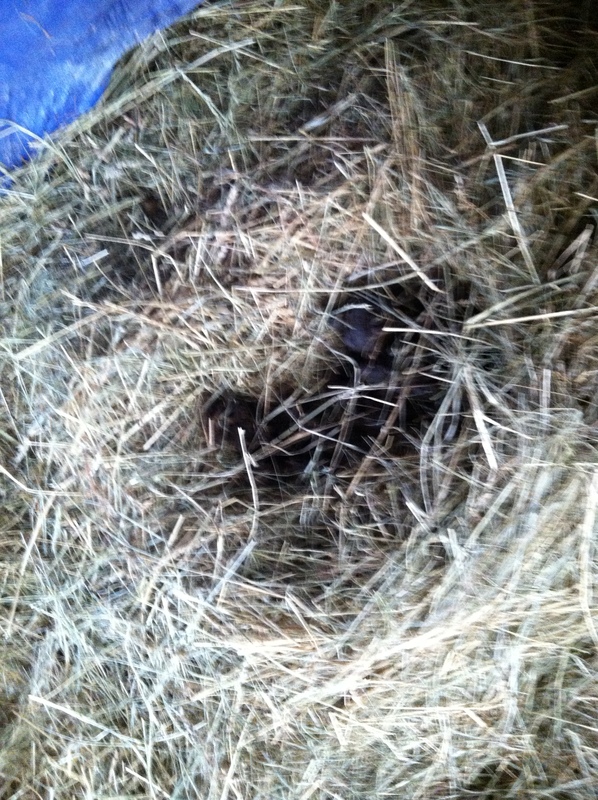 Each time he tears up a few bales of hay and makes a huge mess. 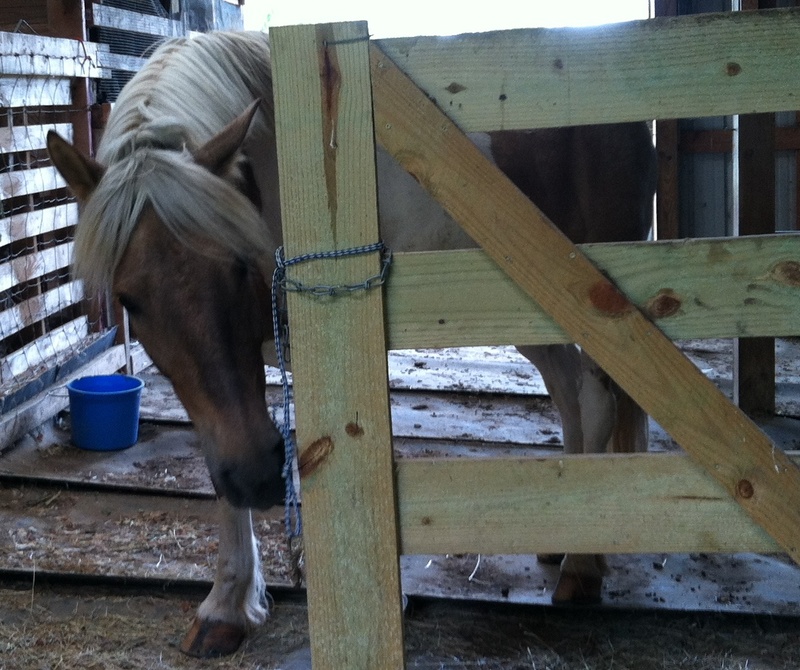 Last week he made his way into the barn by busting the chain on the door. Luckily he was caught before he had made too much of a mess. 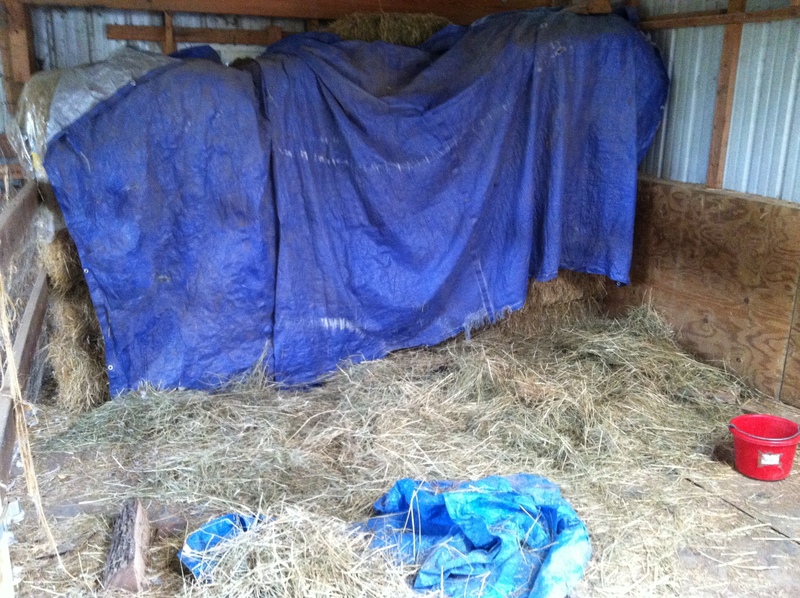 It only cost one bale of hay. He came in to help me clean up his mess. Naughty pony. 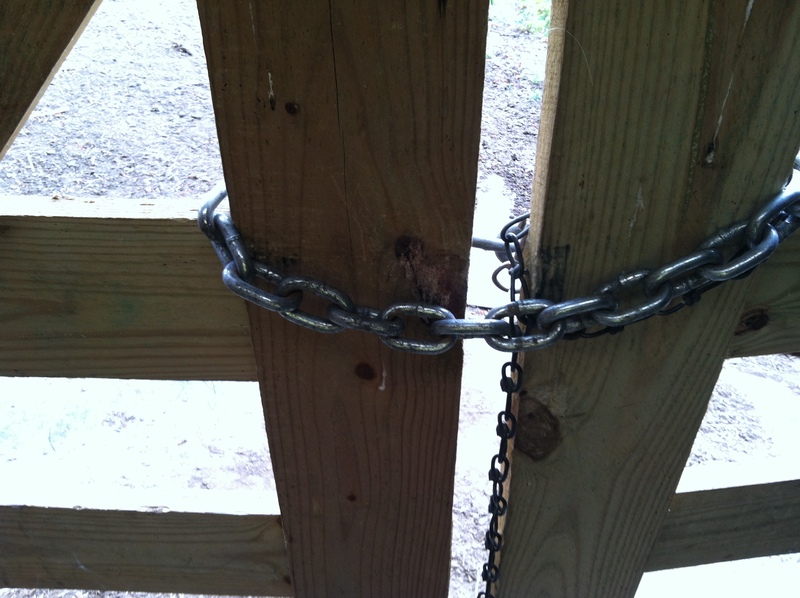 Try and break that chain, pony!